Join us for an evening of spoken word poetry, musical theater, and general weird theater kid stuff. Featuring a performance by GiGi Bella and a special appearance by The Fridges. 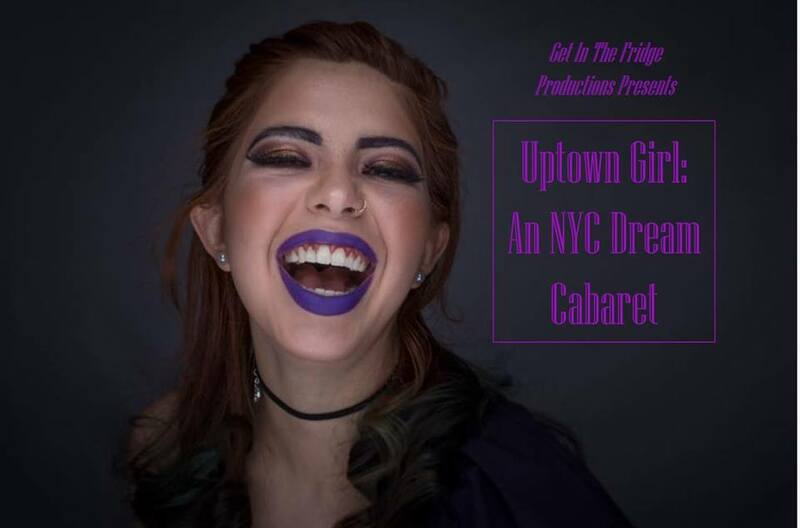 This is also a fundraiser for the Get In The Fridge Productions Spring Musical Godspell, as well as GiGi Bella’s upcoming tour. The artists greatly appreciate every single contribution! Pay what you can ($8 suggested donation). Note: This show contains content that may not be suitable for children. GiGi Bella is the tenth ranked female poet in the world (WOWPS 2017). She is the current Project X Bronx Poetry Champion, the 2017 Vox Pop Indie Champion, a 2017 Fem Slam Finalist and a literal mermaid. She is also a 2016 National Poetry Slam Group Piece Champion and 2013 Semi-Finalist as part of The Albuquerque Poetry Slam Team. Her book, 22, is available through Swimming With Elephants Publications. She will commence her first US Tour in the Spring of 2018. She also has a rad musical theater background as a performer and teacher. Get In The Fridge Productions is a new and upcoming theater company run by teens for teens (kinda like Kids Bop but way better, I promise). We specialize in making teenagers feel like they’re welcome as well as geeking out about our favorite musical obsessions. Please support our production of Godspell in April!